Businesses invest millions of dollars every year making their storefront as attractive and appealing as possible to potential customers. They also spend heavily to ensure their commercial property is as safe. For both customers, clients, and employees. When it comes to heavy snowfall in harsh winters like ours here in Brockton, Massachusetts. We can experience severe winter weather with snow storms, ice, hail, and more. It takes a professional snow removal service to manage this amount of snow and ice properly and efficiently. Brockton Snow Removal provides extensive commercial snow removal services. For businesses all over our area. Whether your parking lot is a huge 400-car lot or a 4-car parking lot. We can quickly and effectively clear the space. Therefore, keep business running smoothly, and reduce liability risk. It’s easy to lose a lot of money when heavy snow and ice discourage customers from coming to your location. Or if the snow and ice slows down your business activities. It’s not necessary to slow down business even more by getting employees to try snow removal with shovels. When you can call us for any and all parking lot snow removal needs you have. We’ll be there in no time! As a business owner or manager, you are very busy with many different responsibilities. However, as a successful business owner you’ve learned to delegate particularly time consuming and difficult tasks to professionals so you can focus on doing what you do best... running your business! Outsourcing your snow removal to a professional and experienced company will help you keep your business running smoothly. Even when the weather is trying to get in the way. Brockton Snow Removal provides fast and affordable snow plowing service for the entire area. We ensure that your parking lot is completely clear and free of snow and ice. This greatly reduces the risk of injury or vehicular accidents on your property. It protects you from the liability. Snow removal equipment are extremely expensive. When a simple snow plow can cost a small fortune. There is simply no good reason to invest long-term into something. That you can simply outsource as needed for a fraction of the cost. Not to mention the time and energy it will save you getting your employees to go outside. And try to do the same with shovels or inappropriate equipment. Which might cause accidents or injury. A professional snow removal service already has the equipment and maintains it intensively to ensure consistent and efficient service. For you throughout the entire winter season. Our tools and equipment are powerful industry standards and we only employ the best and proven methods of snow removal and ice control. Our team of experienced technicians will use our snow removal equipment and powerful snow plows to clear out your parking lot without delay. Snow removal might seem simple from the outside, but when your career is based on providing it as a professional service day in and day out, it’s key to know pretty much everything there is about snow management. For example, you can seriously damage your cement or asphalt by using chemicals and equipment inappropriately. Some chemicals can cause your parking lot surface to deteriorate far faster than it should. If you’ve already invested a great deal of funds into a pleasant and attractive parking lot, the last thing you want to do is scratch and scar it up. Arming a few employees with snow shovels and sending them out to clear the parking lot might seem like a cheap solution at first, but after paying them for hours of work accomplishing what we could in 15 minutes, it might not seem that way. Not to mention the business and customers you’re losing every hour when your parking lot is full of snow and customers go somewhere else. The big advantage of using a professional snow removal service is that you can just give us a call and we’ll get the job done. No damage to your parking lot, your business keeps running smoothly, and customers can continue to access your location. The weather has never minded the will of any person, and snow storms can hit at any time of the day or night. When you run a business in an area that endures heavy snowfall you need to have a professional snow management company you can trust. 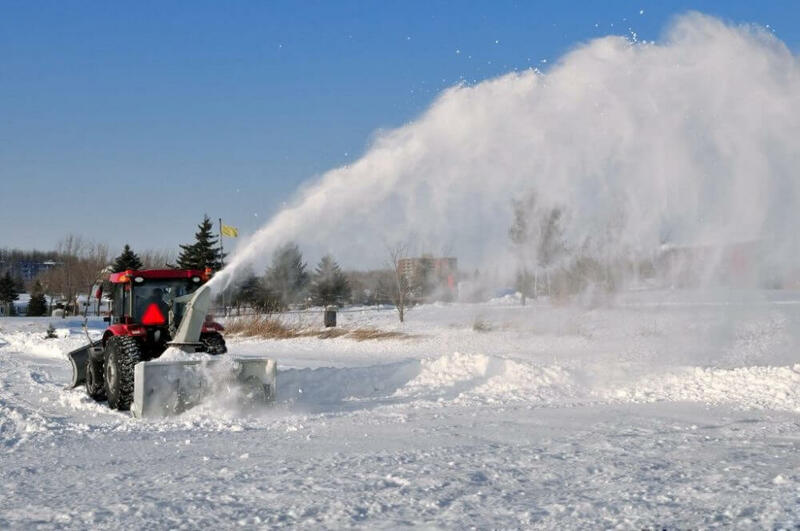 Brockton Snow Removal provides full 24 hour, 7 days a week snow removal that will get the job done quickly and efficiently so your business will continue to run smoothly.